Arguing the Quran calls for the death of non-Muslims, a Delaware state lawmaker chastised his colleagues from the floor of the state Senate for allowing two Muslims to give the invocation to their session Wednesday. "We just heard from the Quran, which calls for our very demise," Lawson said, according to the News Journal daily in Dover, Delaware. "I fought for this country, not to be damned by someone that comes in here and prays to their God for our demise. I think that's despicable." Lawson, who served in the Air Force and did a tour in Vietnam, was responding to a recitation from the Quran in Arabic by Tarek Ewis, imam of the Masjid Isa Ibn-e-Maryam mosque in Newark. Naveed Baqir, executive director of the Delaware Council on Global and Muslim Affairs, followed with an English interpretation of the imam's recitation then offered a prayer. During the invocation, Lawson stepped out of the chamber with fellow Republican state Sen. Colin Bonini. The Council on American-Islamic Relations issued a statement Thursday condemning the two lawmakers and calling on Republicans to do the same. "State and national Republican Party leaders must repudiate this Islamophobic episode and begin to address the growing anti-Muslim bigotry in party ranks nationwide," said CAIR Government Affairs Director Robert McCaw. CAIR, regarded by the FBI as a Hamas front in the U.S., was an unindicted co-conspirator in a terror-funding plot and was designated by the United Arab Emirates as a terrorist organization. If you support WND's fight to expose the Hamas front in the U.S., the Council on American-Islamic Relations, CAIR, please consider a donation to the WND Legal Defense Fund. A case brought by CAIR against a WND Books author is expected to go to trial this fall. 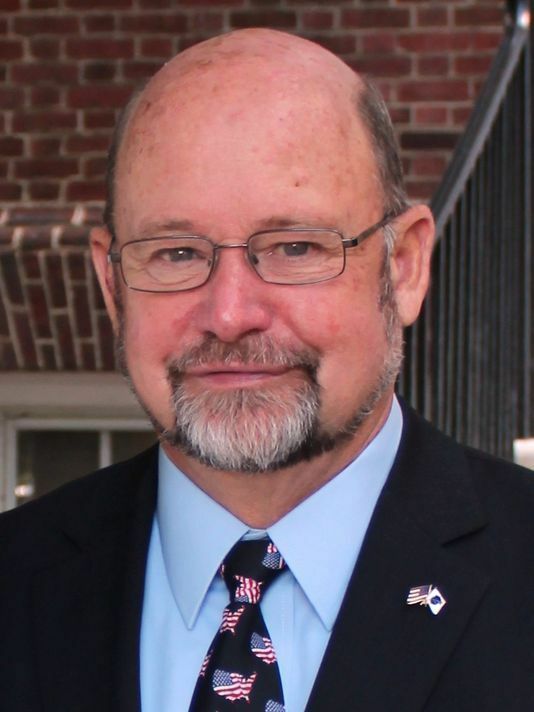 The Delaware Senate proceeded with business after Lawson's comments, but before the session adjourned, President Pro Tempore David McBride, a Democrat, rebuked Lawson, saying he believed "there is complicity in remaining silent." McBride read aloud from a statement, according to the Dover paper. "I have never been of the mind to censure the words of other members, but I also believe deeply that words have consequences," McBride said. "To criticize the sacred prayer of another religion from the floor of the Senate strikes me as antithetical to everything we ought to stand for as lawmakers." Noting Muslims serve in the military and are police officers, doctors, professors and teachers, he said he was "personally offended that our guests from the Muslim community and anyone else here in the chamber today would feel anything less than welcomed with opened arms." "And for our guests today to be branded as anti-American when our First Amendment of our country's Constitution explicitly guarantees the freedom of religion is both ironic and deeply sad to me." O you who believe! Stand out firmly for justice, as witnesses to God, even though it be against yourselves, or your parents, or your kin, be he rich or poor, God is a better protector to both than you. So do not follow the lusts of your hearts, lest you may avoid justice, and if you distort your witness or refuse to give it, verily, God is ever well-acquainted with what you do. Lawson told the News Journal after the session he thought McBride was "ignorant to what's going on," pointing out the Quran includes passages about killing "infidels." He also noted many Muslim-majority countries restrict women's rights and persecute Christians. "Their belief flies in the face of our Constitution," Lawson said. "This is not our Bible, we should not be allowing them to pray from that book in our house, just as I do not believe I would be allowed to pray from my Bible in their house." Less than two years after the 9/11 attacks, two Republican lawmakers refused to participate in a Muslim cleric's opening prayer at a session of the Washington state House of Representatives.. Calling it "an issue of patriotism," state Rep. Lois McMahan said in 2003 her decision to remain at the back of the House chamber instead of at her desk was not a protest, but a personal decision because "the religion is the focal point of the hate-America sentiment in the world." "My god is not Muhammad," McMahan said in an interview with the Seattle Post-Intelligencer. "The Islamic religion is so ... part and parcel with the attack on America. I just didn't want to be there, be a part of that." "It stems from a deep-rooted misconception about Muslims," he said. "My belief does not call for me to kill anyone. The Quran says we are not supposed to hate people; we are supposed to hate sins." "Anybody who knows Dave knows that there is not an ounce of hate in him," he said. "There is not an an ounce of hate in me either." Bonini, who said the walkout was not intended to "be specifically disrespectful to the people who are here," argued religious freedom is "not a one-way street." "You have a right to pray, as do I," Bonini said. "And I have a right to be offended by what you believe, just as you have a right to be offended by what I believe." In their effort to advance Islamic rule, movements such as ISIS and Hamas, from which CAIR originated, cite the Quran and its approximately 109 verses calling on Muslims to fight nonbelievers. CAIR has sued the authors of a WND Books exposé, "Muslim Mafia: Inside the Secret Underworld That's Conspiring to Islamize America," which documented the group's radical ties. A trial in the case is expected to commence this fall. If you support WND's fight to expose the Hamas front in the U.S., the Council on American-Islamic Relations, CAIR, please consider a donation to the WND Legal Defense Fund.